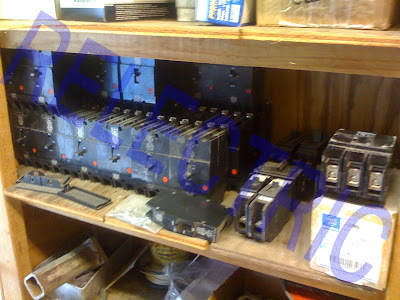 Today one of the lots we received of included a New Cutler-Hammer panel filled with a KD3400 main and branch breakers including HFD3040, HFD3050 and HFD3100's. Additionally we received some EDB3100's and EDB3225's. 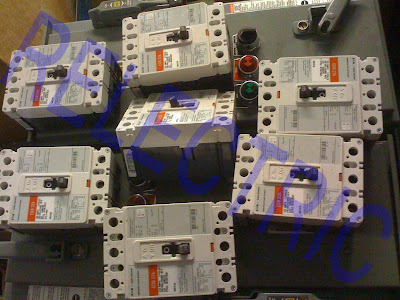 Along with the C Series breakers there are about 100 or so TEY 3 poles. Some of the amperages include TEY3100, TEY320, TEY330 and TEY340'S also in the lot were some Square D Combination Lighting Contactors, Type S part numbers 8903SMG62V02, 8903SQG62V02, 8903SQG72VO2, 8903SPG71V02, 8903SQG81V02 and SMG82V02. Thanks for looking and make it a great day!